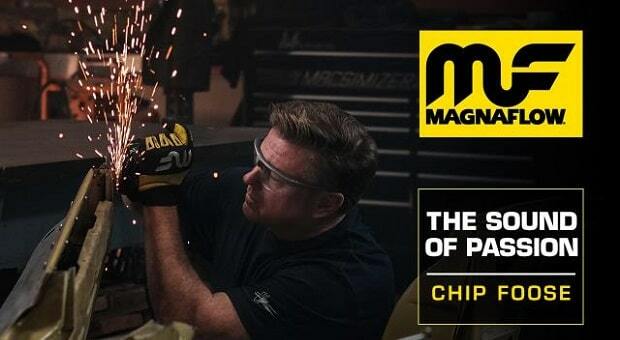 MagnaFlow’s latest video spotlight, “The Sound of Passion,” features famed automobile designer and artist Chip Foose. Already an inductee into the Grand National Roadster Show Hall of Fame, Foose was officially recognized as the show’s Builder of the Decade at the 2019 show at Pomona, Calif.’s Fairplex. The video gives viewers a glimpse into Foose’s mind and creative process as he reflects on his life and career so far, contemplating how he got to where he is today. After 31 years of exceptional design, Chip Foose has made his name as one of the modern era’s most prominent automotive designers and builders. His repertoire of creations throughout his career has earned him a multitude of accolades, including four Ridler Awards, eight America’s Most Beautiful Roadster awards, seven Goodguys Street Rod of the Year awards, Best Custom Car at the 2014 NACE Expo and the soon to be announced Builder of the Decade award. Foose has also been inducted into the Hot Rod Hall of Fame; Darryl Starbird Rod & Custom Car Museum Hall of Fame; Grand National Roadster Hall of Fame; San Francisco Rod, Custom & Motorcycle Hall of Fame; Diecast Hall of Fame; Hot Rod Hall of Fame’s Circle of Champions; and the SEMA Hall of Fame. As shown in the video, Foose remembers watching his father, the late Sam Foose, sketch vehicle designs and the sound of his pencils scratching on paper. 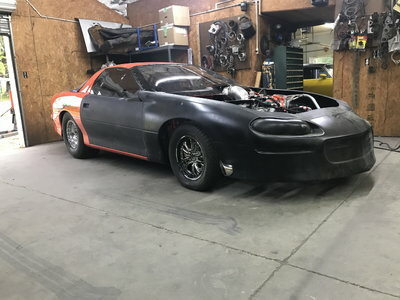 He started out by emulating his father’s artwork, which led to his developing a true passion for automotive design and creation ultimately brought him to attend the Art Center College of Design, where he continued to hone his craft. After working as the staff designer/fabricator for the Asha Corporation where he was ultimately promoted to director of design, Foose started his own company, Foose Design, in 1989. Since then he has continued to sketch and build revolutionary vehicles. His vision and craftsmanship ended up getting him a hit television series, “Overhaulin’” which brought his art to an even wider audience of fans. The unwavering passion Foose has displayed for his work beginning at a young age and continuing throughout his career is both the source of the legacy he’s created and what drew MagnaFlow to him many years ago. MagnaFlow is honored to have been able to work alongside an individual whose passion for his craft has left an indelible impact on the industry. Chip Foose showcased an array of his award-winning vehicles at the Grand National Roadster Show from Jan. 25 to 27, 2019, and was honored in a special ceremony during the award presentation on Sunday, Jan. 27, 2019. For more information on the Grand National Roadster Show, please visit www.rodshows.com/gnrs. RacingJunk brought back some coverage from the Grand National Roadster Show this year – read more and see the pictures here!